The penny of Queen Victoria is one of the most intricate denominations of British coinage. Between 1839 and 1860, the penny was made from copper. From 1860 onwards bronze was used instead. There were many different varieties of the penny, some had small differences and some far more apparent differences. The Victorian penny is original and has a bust of Victoria on the obverse and Britannia seated on a rock on the reverse. 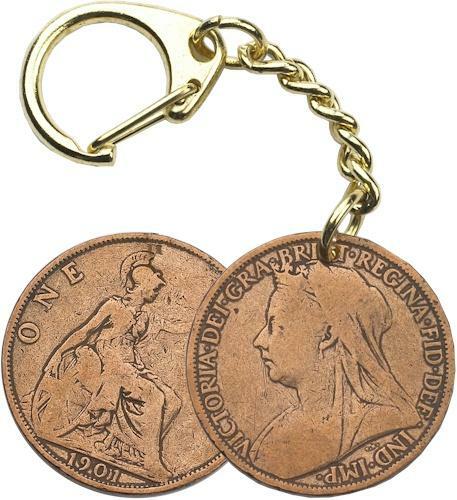 The coin is supplied on a quality key-chain.